Eliminates the cost of hosting and managing a basic website! 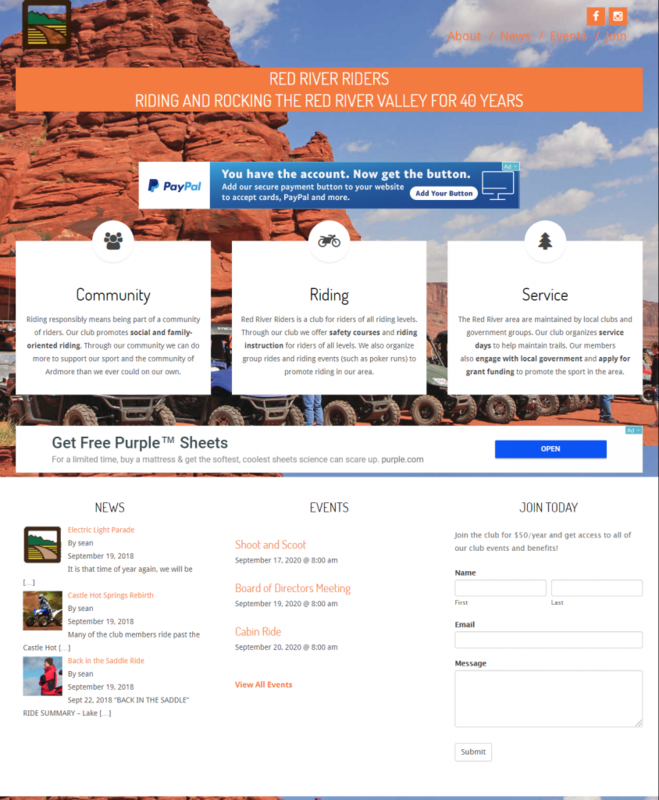 RideTrails worked with the NOHVCC to design easy-to-manage, customizable website templates that clubs and associations can use to promote their club and recruit membership. Learn More About the Templates! You pick a template for your organization. We customize the website based on your organization's branding and preferences. You begin using your new website for communications and revenue generation! No More Club Hosting and Website Fees, Professional Web Support, Modern Design and Capabilities, and a Website that is designed for outdoor organizations by outdoor enthusiasts!